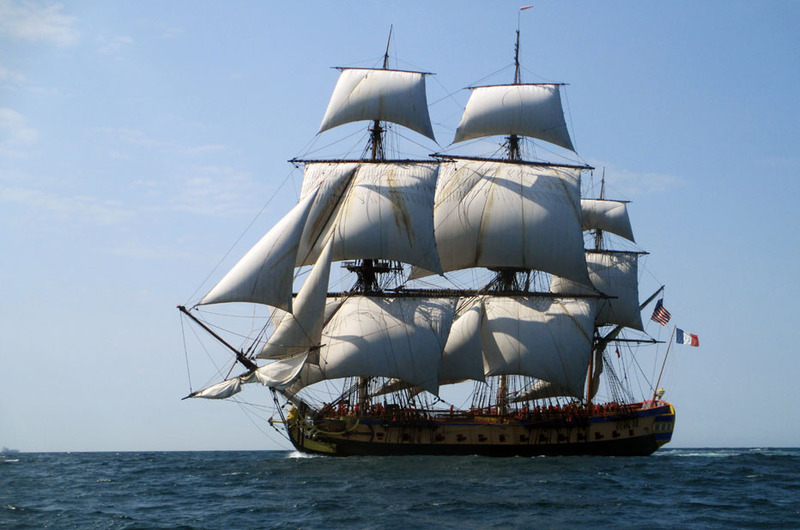 « It’s Tall Ships® Tuesday! Meet El Galeón. Tuesday morning dawned clear and windy as Eliza and I made out way down the docks of the Corinthian Yacht Club of Cape May. Barry, Jim and their team had generously offered to volunteer their time to take us out to the race starting line (15 miles off shore) and to help us start the race for Picton Castle, Sagres, Hermione and Lettie G. Howard. An hour later, after a very bumpy ride, we made it to the start line, well out of the way of the traffic separation scheme going into and out of the Delaware Bay and away from the shoal waters that extend out from the shore. As we went about prepping for the race start, it was incredible to see the ships sailing out to meet us. When we see the ships in port, they seem so passive -just bobbing gently at docks, sails all tucked away, and everything neatly stowed. It’s when you see them under way that you truly get to understand their awesomeness. The ship and the crew are part of something much bigger than themselves. With the sails full of wind, the crew straining at the lines, and the ship cutting through the water, you are transported. 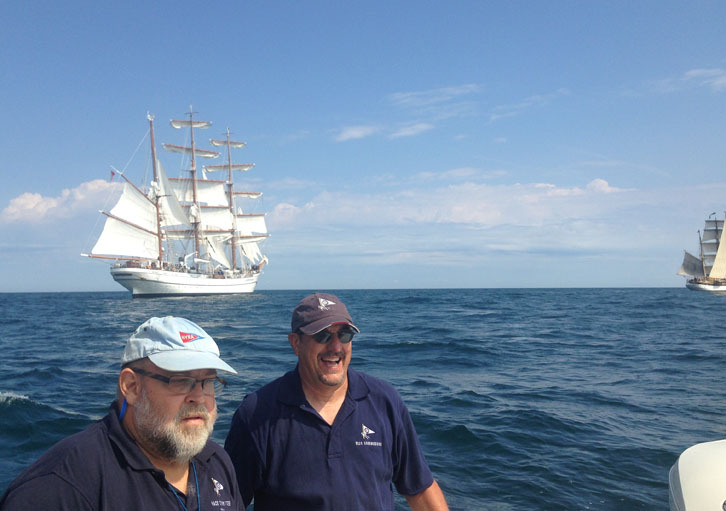 They are a direct link to our shared global maritime history and to see them under sail is to see history come to life. Soon, we had the line set and were waiting to start the race. Picton Castle, Sagres and Lettie G. Howard slowly began to turn towards the line. Five minutes from the start the ships were bearing down on the line. As the cannon went off, we had a perfect view of the ships as they sailed toward us. Eight minutes after the gun, Picton Castle was first across the line and close enough to the Race Committee boat that we could call across congratulations to the captain and crew. She was followed two minutes later by Sagres and then Lettie G. Howard. Hermione, coming up from behind on the opposite tack, caught the breeze and quickly caught up to the others. On our way back to shore, we saw Lynx sailing along on her way north, full sails set and cutting through the water. It was a glorious day for a sail all around. Eliza and I are currently in Greenport waiting on some tall ships. The ships were last here in 2012 and the town could not be more excited to welcome them to their community. The winners for the race will be announced on Monday at the crew party. 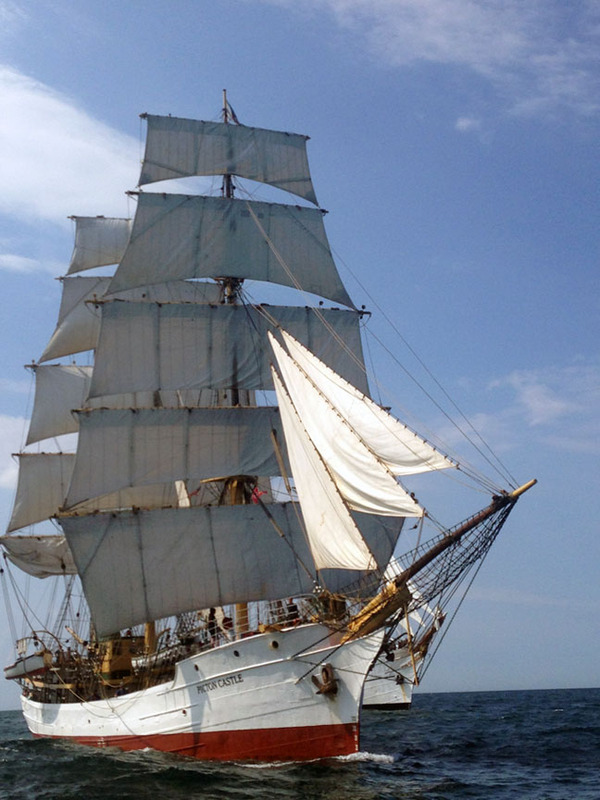 For more timely updates, be sure to follow us on Twitter (@tallshipsfleet). More photos from the start by photographer Max Mudie are on his Facebook page. 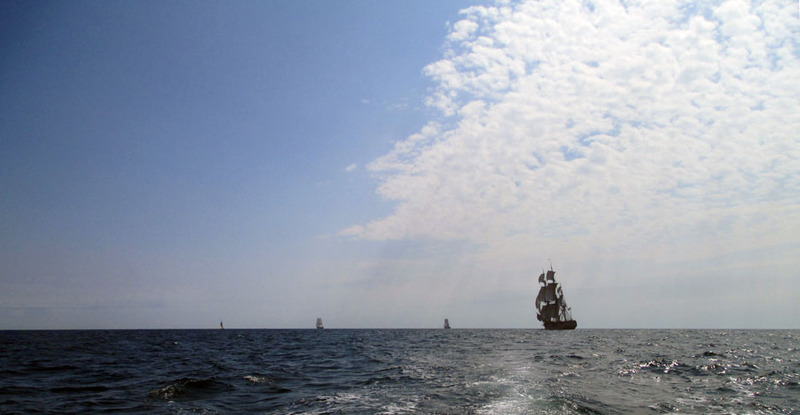 We’re posting photos on Flickr and in the TALL SHIPS CHALLENGE(r) group page on Facebook. A huge THANK YOU to the Corinthian Yacht Club of Cape May! This entry was posted on July 2, 2015 at 11:16 am	and is filed under 2015, Greenport, Races. You can follow any responses to this entry through the RSS 2.0 feed. You can leave a response, or trackback from your own site.